Not far from Brisbane, there's one small place called Noosa Paradise. 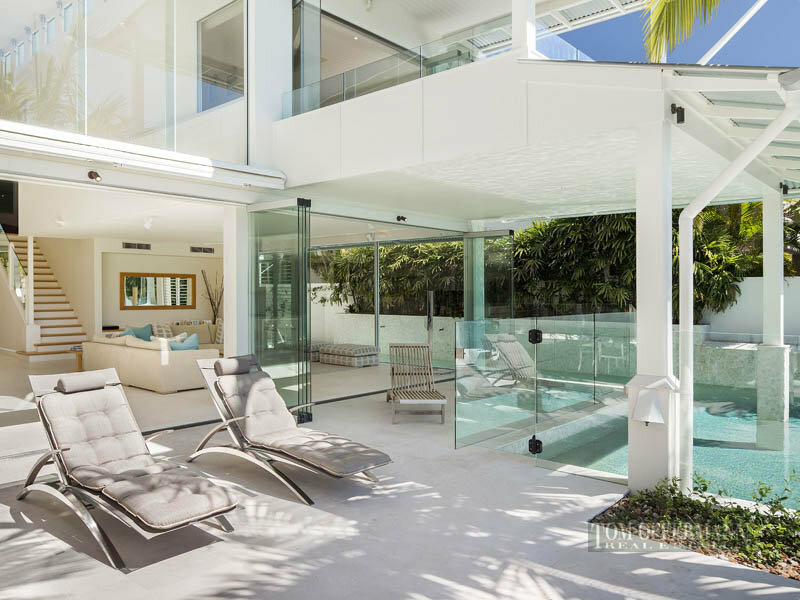 Paradise indeed. Wonderful canals on the shore of east Australia are simply perfect for summer residences. 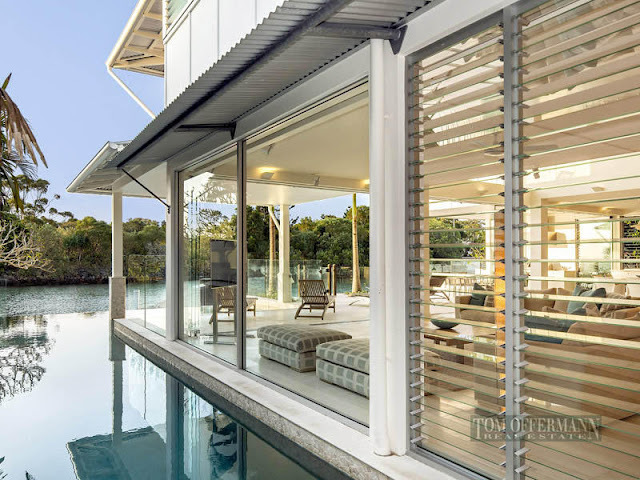 Beautiful landscape in combination with modern architecture can bring only one thing, amazing homes. 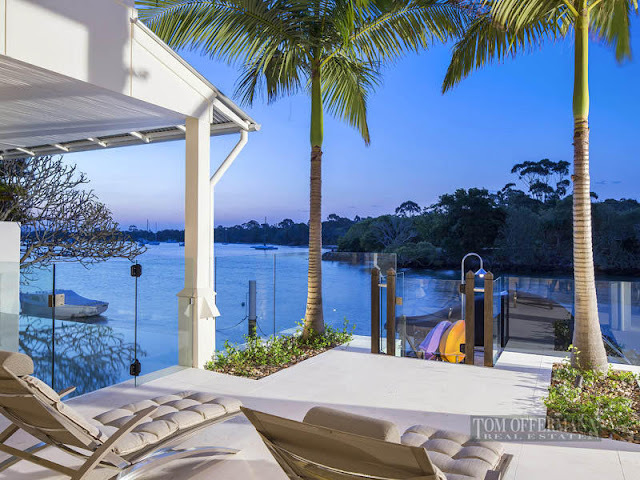 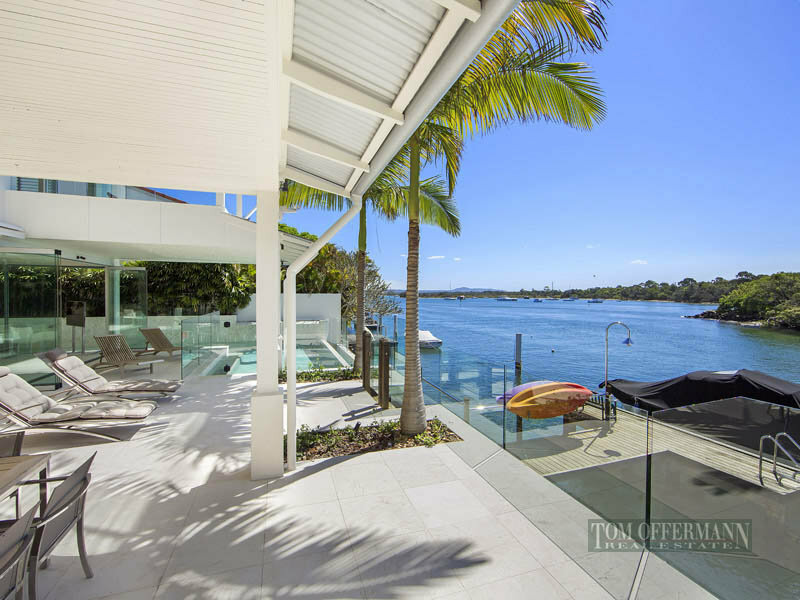 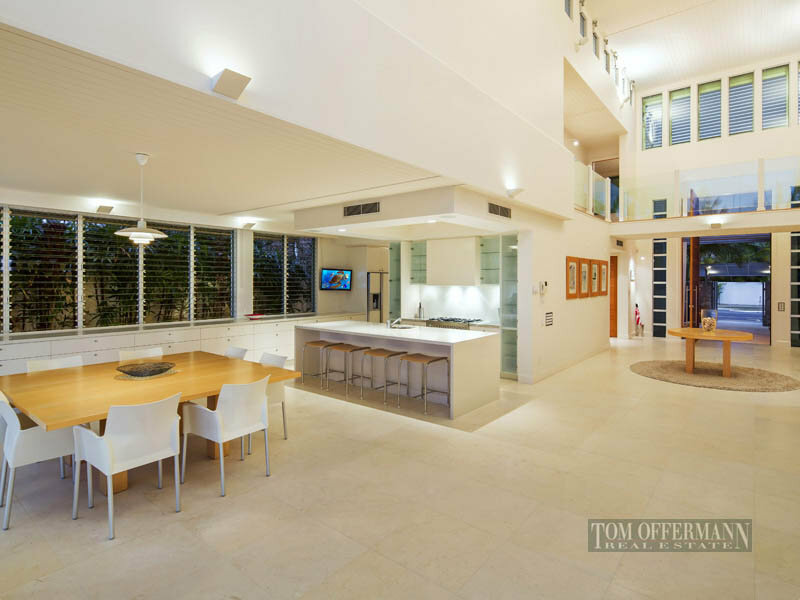 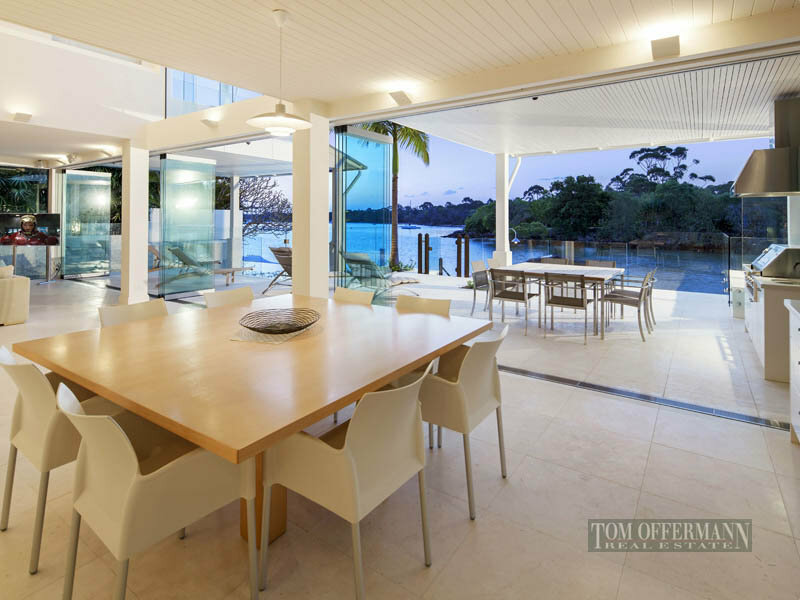 "Located barely three minutes level walk from Hastings Street, the golden sands of Noosa Main Beach and the picturesque waters of Laguna Bay, this exceptionally well designed absolute waterfront residence delivers an uncompromised level of quality and timeless appeal. 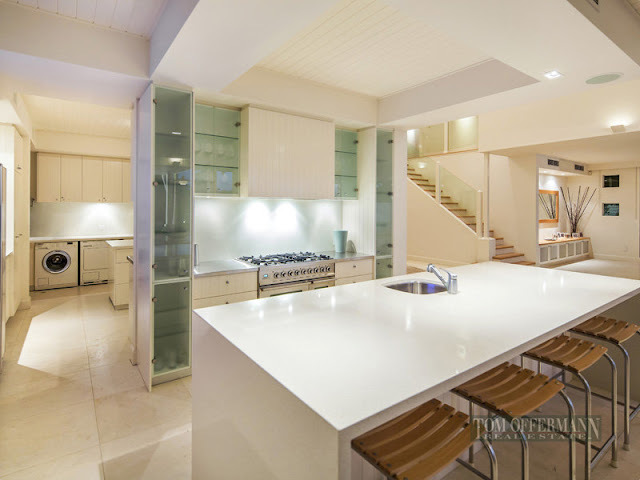 Bearing the recognized trademarks of internationally renowned Sunshine Coast designer Stephen Kidd, there is an understated elegance that permeates through each of the two light infused levels. 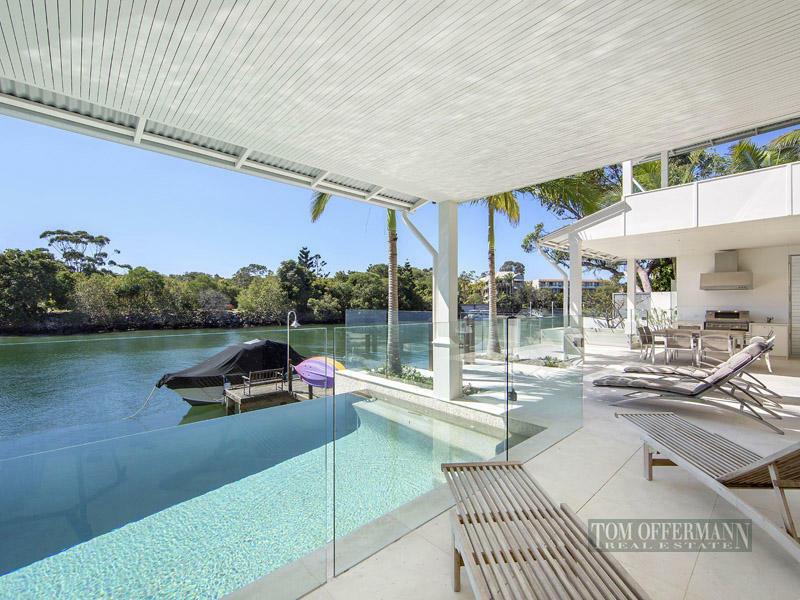 This sleek sophistication extends across broad waterfront terraces, a wet edge lap pool and open air spa. 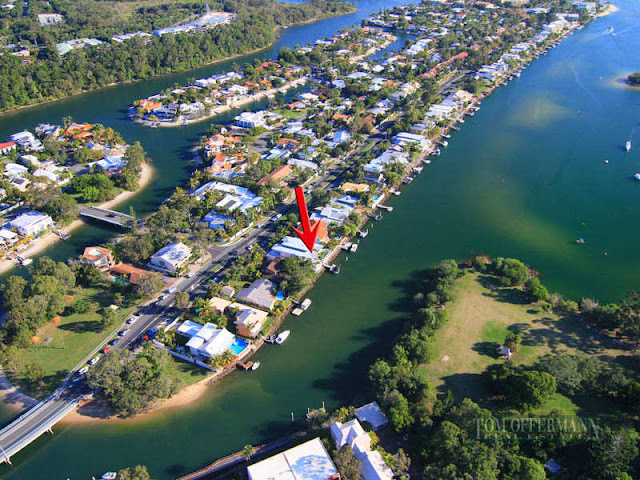 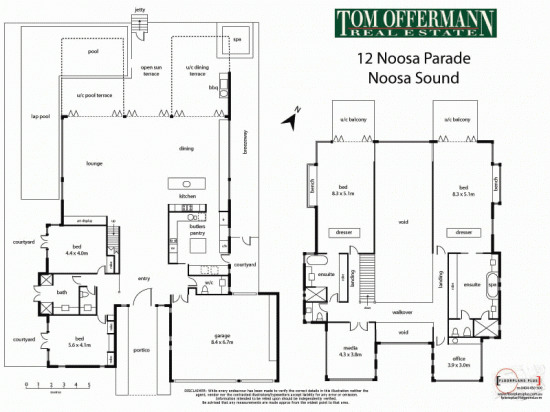 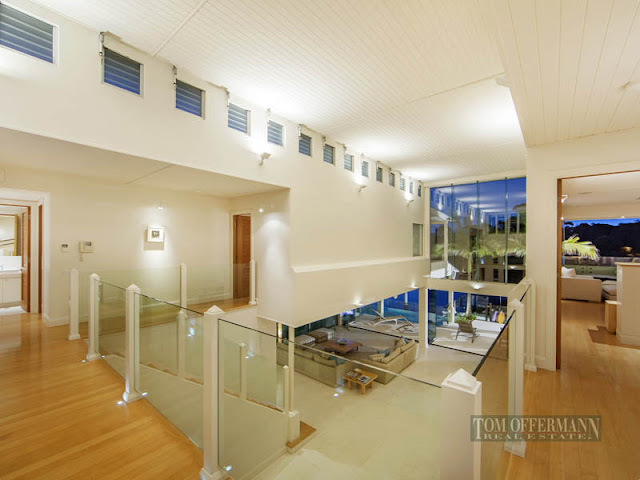 In possession of enormous street appeal, a stone wall steps across the Noosa Parade frontage and a floating roof angles above a security intercom pedestrian gate. 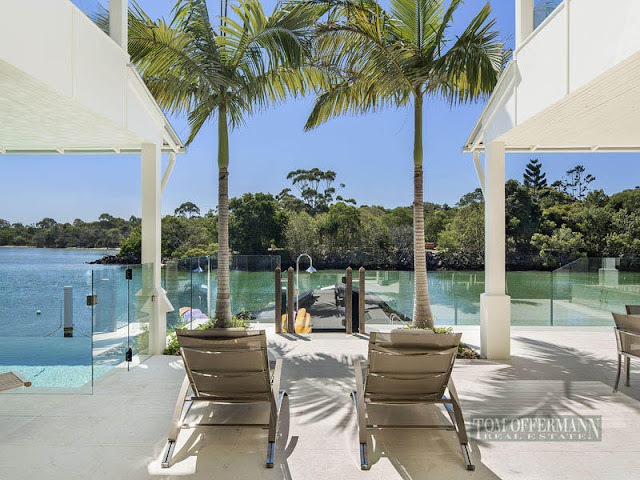 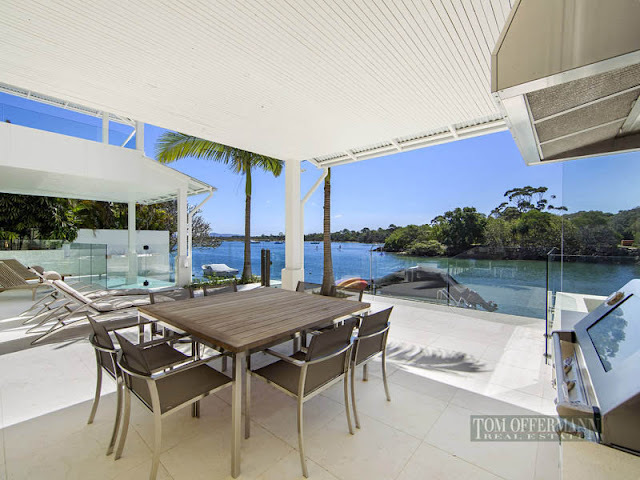 Limestone under foot slices through reflection ponds, a giant Silver Ash door pivots wide and the river views draw you across open living domains to full width terraces above the deep waterfront jetty. 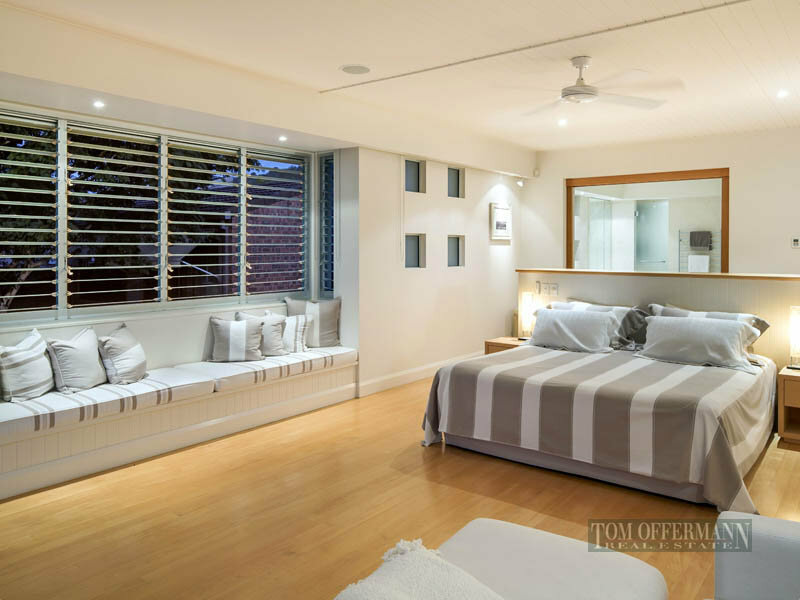 Stone, timber and glass, merge effortlessly throughout two garden level bedrooms and two superb upper floor bedroom suites with private balconies. 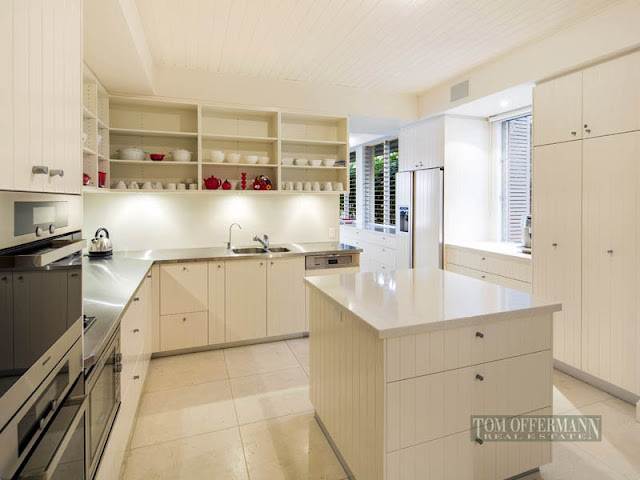 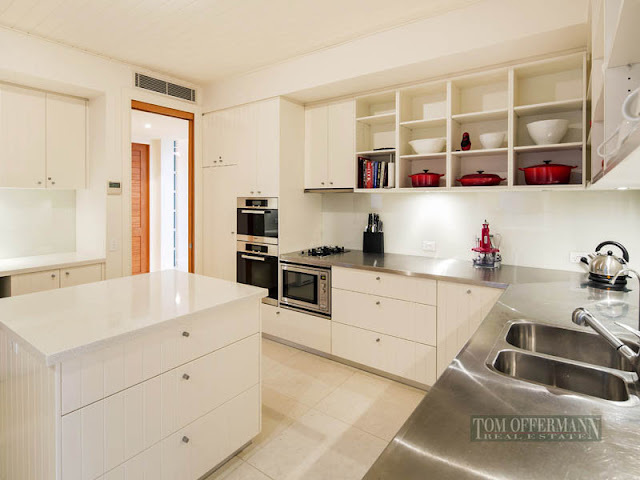 A large scullery with a full range of Meile gas, electric and steam appliances has commercial grade stainless benches, soft close drawer systems and dual access for the largest of riverfront gatherings. 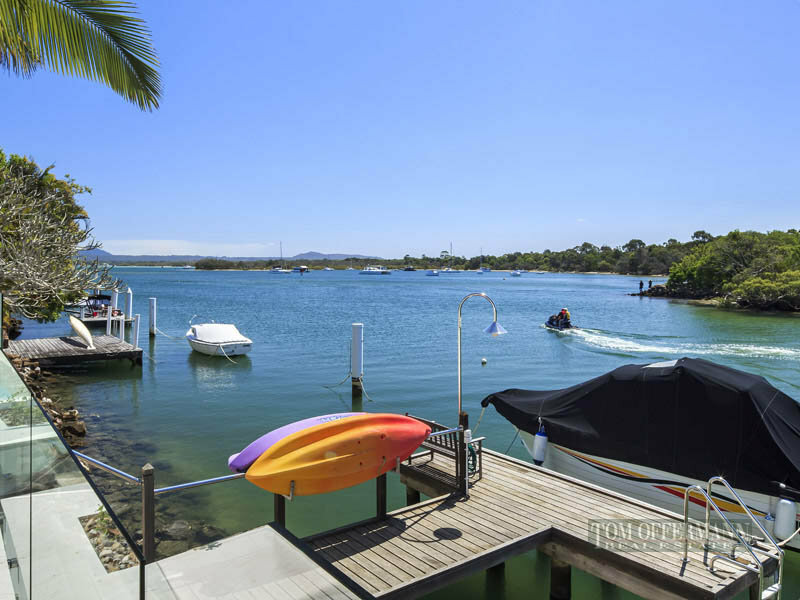 Situated on a 731 square metre waterfront allotment, this beautiful home demands your attention." 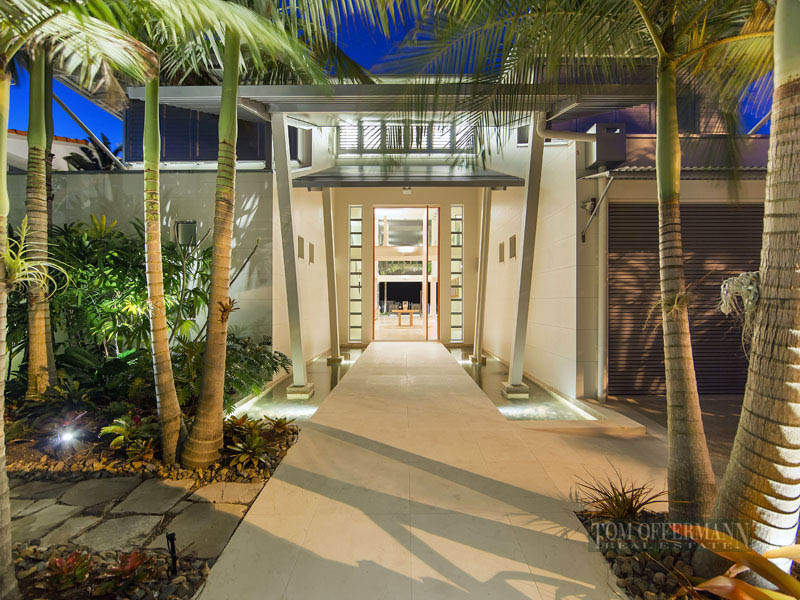 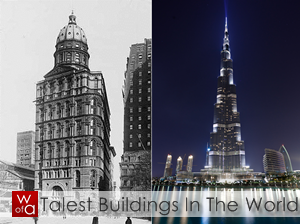 Take a look at more amazing homes for sale!